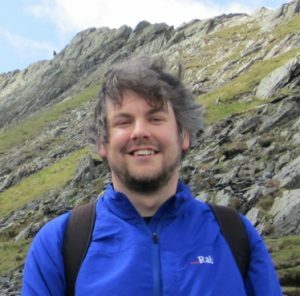 My research concentrates on exploring the links between the Earth’s carbon cycle and climate on Cenozoic timescales, and I deploy a range of tools including organic geochemistry, foraminiferal geochemistry and General Circulation Models. I study ancient climates using molecular and carbonate fossils. When an organism dies, often components of the organic remains are preserved in sediments. By analysing molecules characteristic of particular organisms or environmental conditions (“biomarkers”) we can reconstruct ancient environmental parameters. My research primarily uses organic geochemical proxies analysed by GC, GC-MS, LC-MS and GC-C-IRMS to reconstruct sea surface temperatures (TEX86 and UK'37) and atmospheric pCO2 (alkenone δ13C) along with foraminiferal geochemistry based on stable isotopes (δ13C and δ18O) and trace metals (Mg/Ca). The Earth in My Pocket: An Introduction to Geology: I wrote the Future Learn MOOC "The Earth in My Pocket: An Introduction to Geology" with Dr Anne Jay in 2016. Get an introduction to geology. Discover where materials that make up everyday objects come from and how to use them sustainably. Sign up now for the first run in February 2017! Earth Processes (S309): I'm a guest author on the level three module "Earth Processes (S309)", and wrote sections on the Intergovernmental Panel on Climate Change (IPCC) for the science in society module in 2016. The course is one of the first OU courses to use direct authoring on the Open edX platform. Science: Concepts and Practices (S112): I'm a core author on this new first year module which will provide a solid toolbox of knowledge, understanding, and skills for science students across the university. I'm writing material on environmental change, living in a changing climate, and contributing material for other Earth science sections of the module. Ecosystems (S396): I'm on the module team rewriting the level three module "Ecosystems". We're just starting and the first learning design workshop is early in 2017. We're all excited to refresh what has been a very popular module and make it fit for online delivery.